"Greg and his crew did a fantastic job installing our landscaping. The work was completed quickly and with an eye to detail. Our input was accepted with no problems and the worker's attitudes were great. We did have a very large amount of rain immediatly upon completion that caused some washouts, but Greg was out the next day to check on our site and had his crew out the following Monday to repair the damage and re-hydroseed portions of the lawn. Overall, it was a great experience and the results are truely impressive." "It was refreshing to deal with a pool company that knows what customer "service" is. Any future repairs I may need I will give you a call. Thank you. - Jim Hanlon"
"We are extremely happy with your company, and feel you defiantly "get it" when it comes to customer service! Your employees all seem happy and interested in the business, which makes us want to come back time and again. Keep up the great business." "You have very nice workers who worked diligently in not very nice weather conditions! Thanks, Lina W."
"The two people who were here were very hard workers and did a great job!" "The crew did a wonderful job! Kim is the best ever! Another girl was sweet enough to make me a couple of wreaths from my trimmed sage. I could not thank her personally as I didn't remember her name!" "We worked with Greg last summer to design a brick walkway and perennial garden, which incorporated 70 boulders, and really appreciated his professionalism and expertise. The staff was friendly and professional - and we are very happy with the results. They delivered on time and exactly what had been proposed. Lynn and Keith Sterner." "Tina, just wanted to thank you for taking care of our pool problem. The chlorinator is working wonderful. We really appreciate it! Thanks again, Gloria Simmons"
"Tina, I wanted to thank you for all the help you have given me through the years. Caring for the pool was so much easier with you available for advice. I truly appreciated you and I wanted you to know that. Enjoy the remainder of your summer. Jeanne Baker." "Thanks for a nice job. The liner looks (and works) great! Janet Lalonde. P.S. The workers were also very nice and professional." 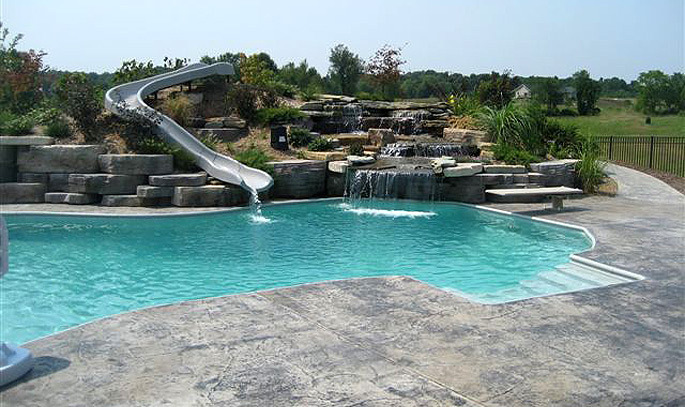 "We really appreciate having such a knowledgeable and friendly pool resource located in Ionia - They are great trouble shooters and always come up with a timely and effective solution to any pool problem. Lynn & Keith Sterner"
"Thanks for all your help. You do a great job. My pool could not be fit to swim in without you guys." "We are very happy with their work on our new liner. Very nice staff. Very helpful on any questions we have had. Very satisfied and we get lots of compliments on our pretty new liner. Keep doing everything just like you are doing. Your place of business is really nice and so well taken care of. We bring your place up to everyone else. Thanks for being so good to us and coming out for any little repair we have called you to come out to fix. We appreciate your good work."